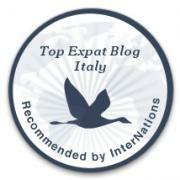 I’m taking part in the HostelBookers 7 Super Shots which started this past January 2012 and has finally made its way around the blogosphere to Sardinia. I secretly watched and hoped that one day I too would be tagged for this travel inspiration series. Last week I was ‘tagged’ by Casey in Colorado who writes a great blog titled: words of a wanderer. Thanks for this great ‘tag’ Casey!